Sometimes they visit our local swimming baths. 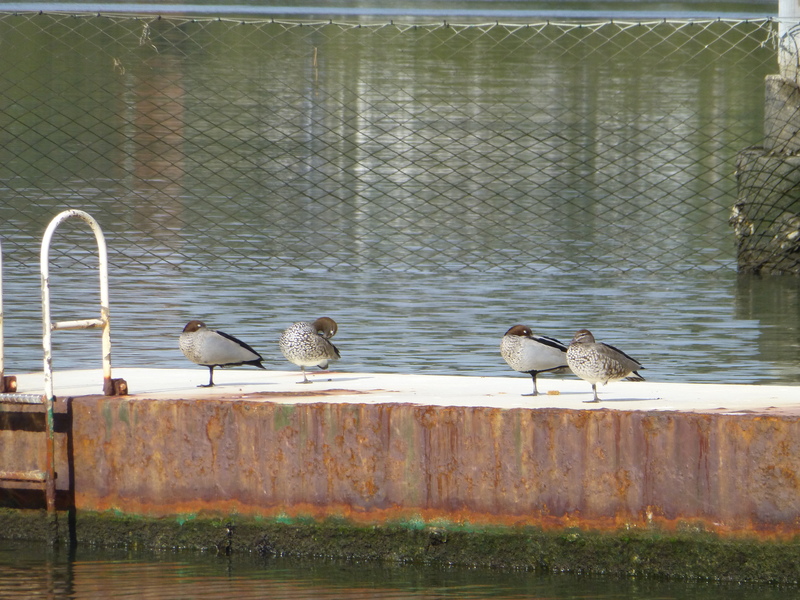 One of their favourite resting places is on top of the pontoon. This doubles as a diving platform and swimming-race marking point. It’s the 50 metre mark! So nice to see our feathered friends enjoying the winter sun. One of my favourite activities is bird watching. 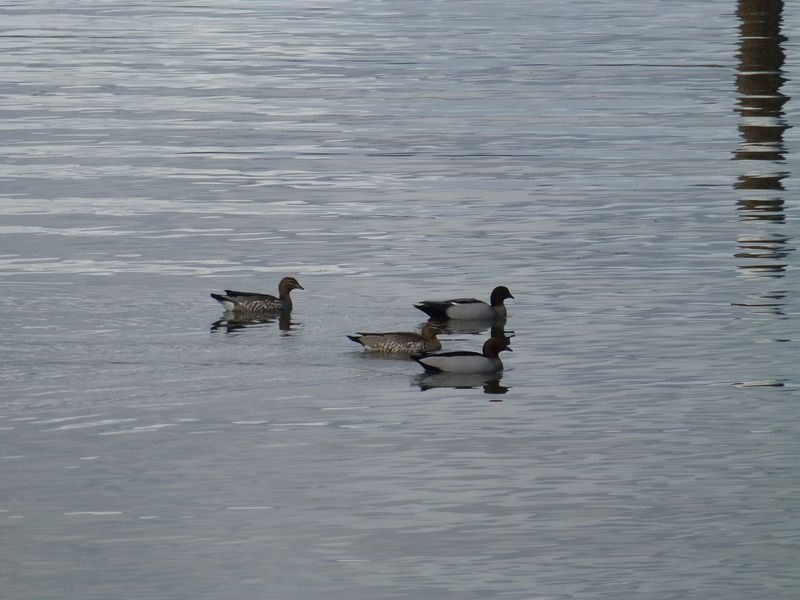 Whether they be land or water-based, birds strike a delightful chord in my psyche. Fortunately I live near a natural park that takes in river flats, and even has a swimming enclosure. Here, water-birds are by no means rare. From swallows to pelicans, all have been seen. One of my most treasured sights is that of a flock of ducks. Over the years I’ve seen a number of species. These are some that recently flew in to visit. 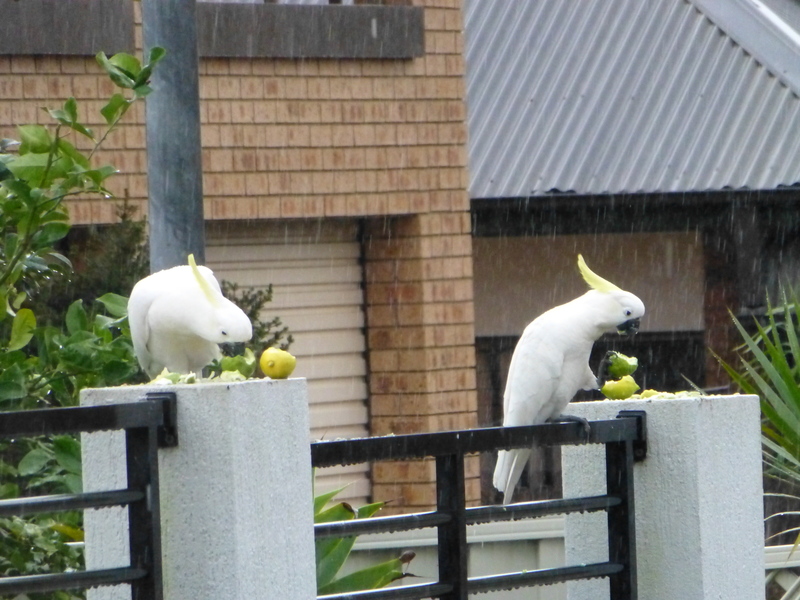 Simple pleasures are so often the best…..
Do our native parrots covet others’ homes? That’s the question I asked myself this morning when I saw what had happened. 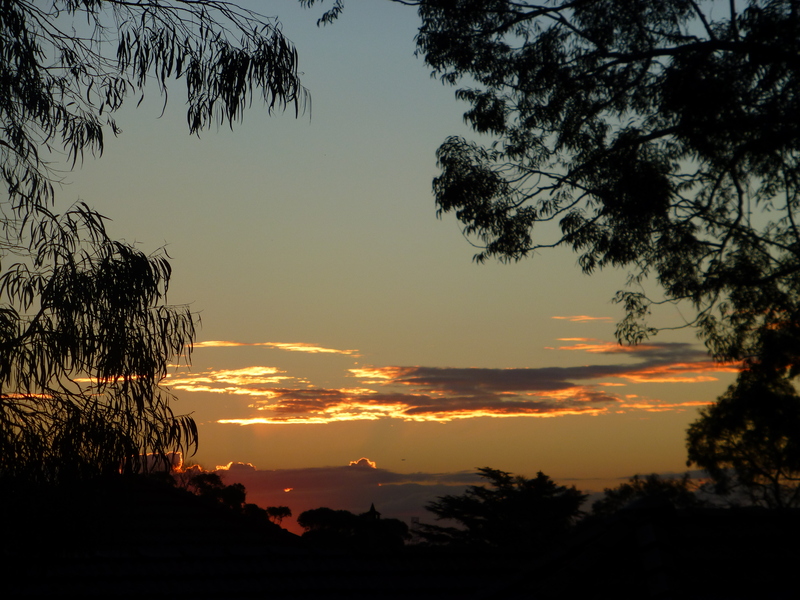 For many weeks I’d watched the tireless diligence, the devoted effort, of a certain white cockatoo. Every day he’d be hard at work, chipping away. Every morning I’d see an impressive pile of wood-chips on the path below. Quite often, the lady of the house would come and inspect her partner’s progress, maybe give her opinion, and then fly off again. And so it was with amazement that I witnessed today’s event. 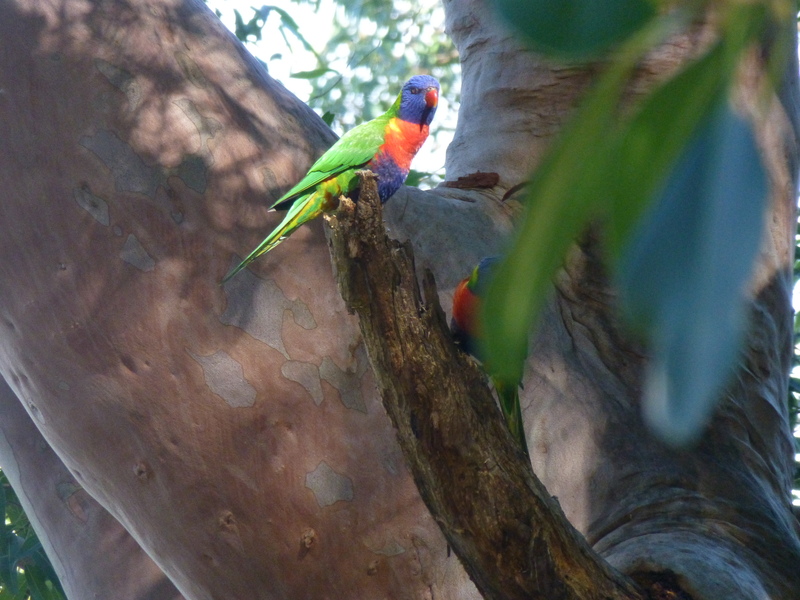 A small flock of Rainbow Lorikeets were eying up the nest, and apparently liking what they saw. Have they decided to become squatters?